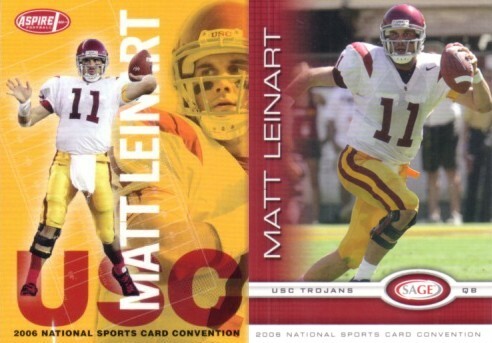 Set of two different Matt Leinart promo cards distributed by SAGE exclusively at the 2006 National Sports Collectors Convention in Anaheim. NrMt-Mt or better condition. ONLY ONE SET AVAILABLE FOR SALE.